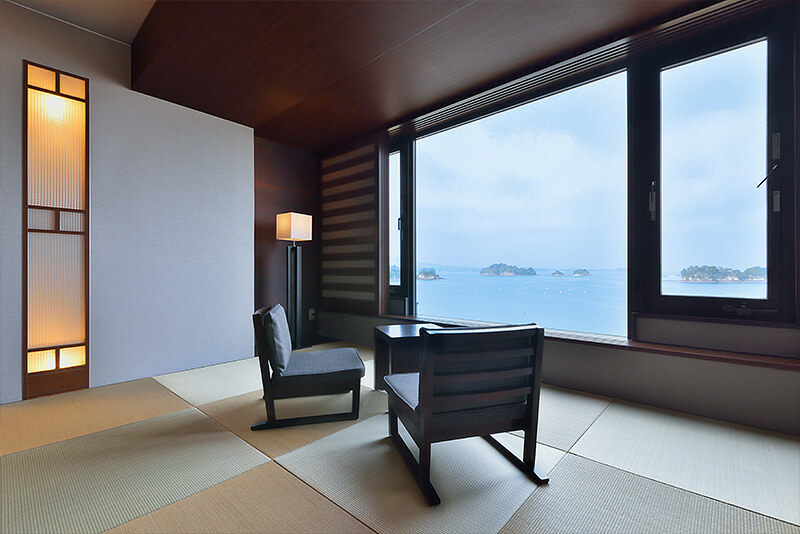 The most popular rooms at Ryugu. 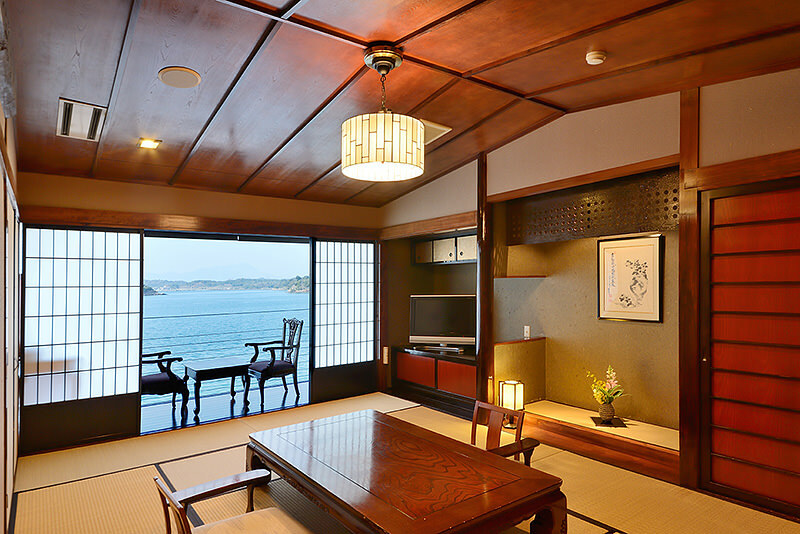 each room is accented with local historical style. 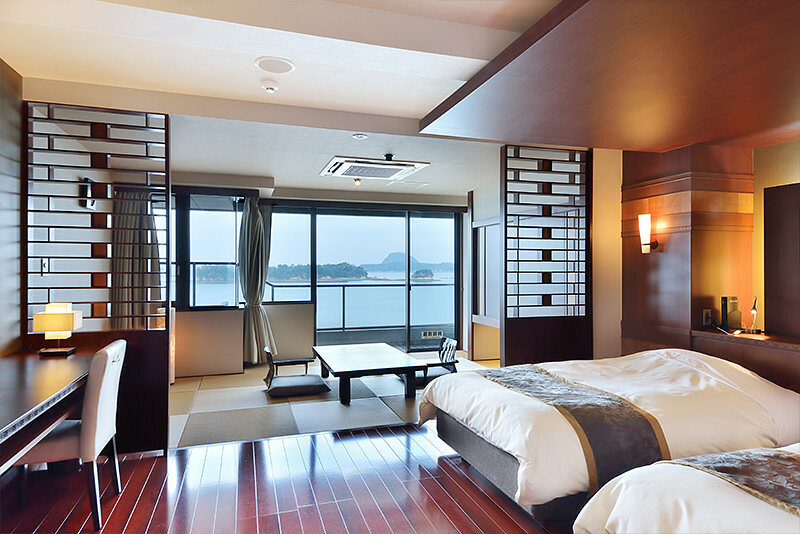 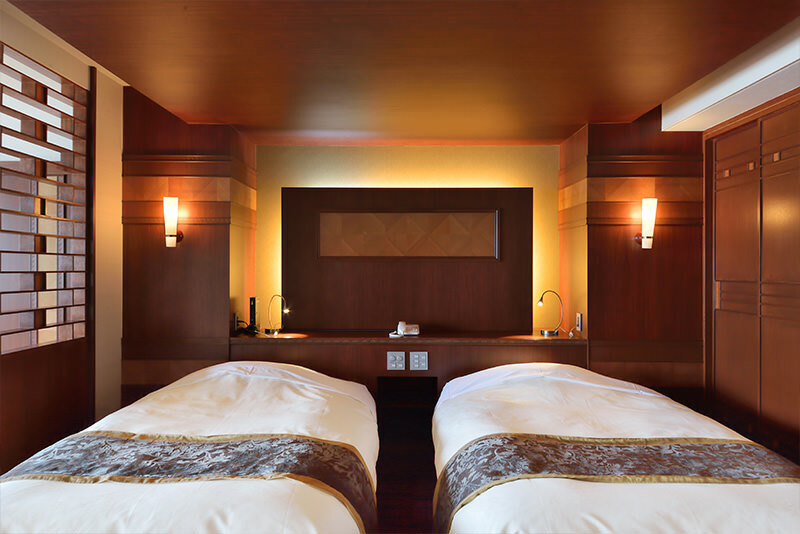 A superb option for an Amakusa getaway. 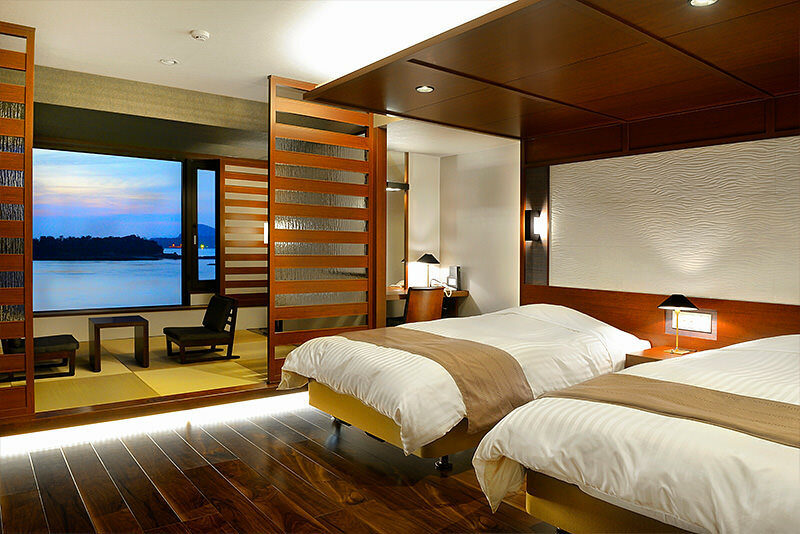 letting you pick the room that’s right for you. 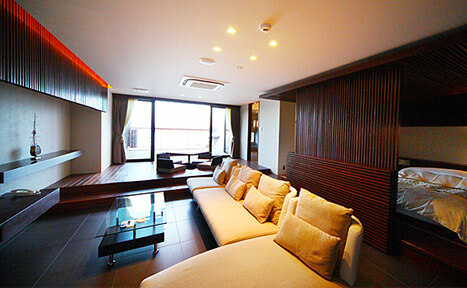 Western-style rooms and barrier-free rooms. 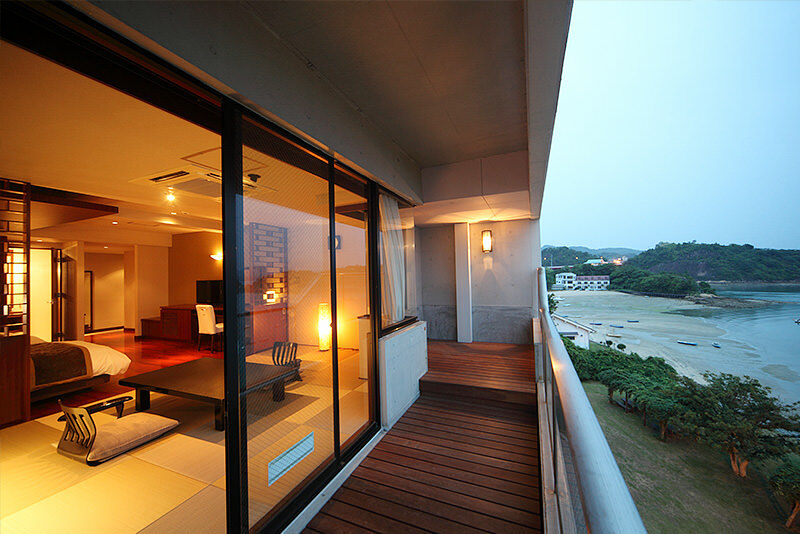 A hidden getaway with a focus on top-quality service. 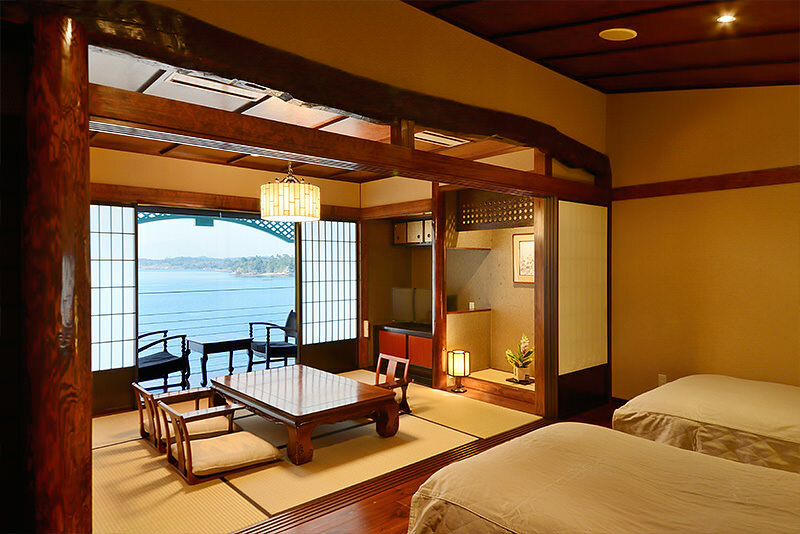 We promise a relaxingly private stay in one of our spacious, Asia-themed suites. 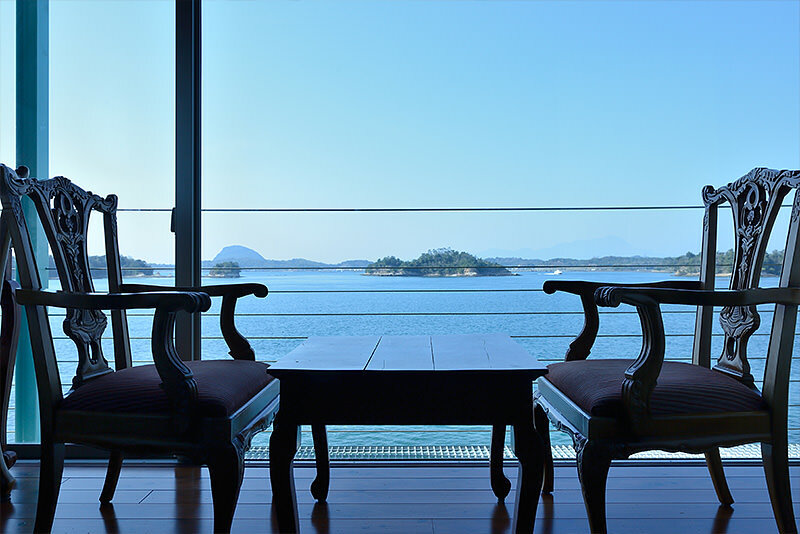 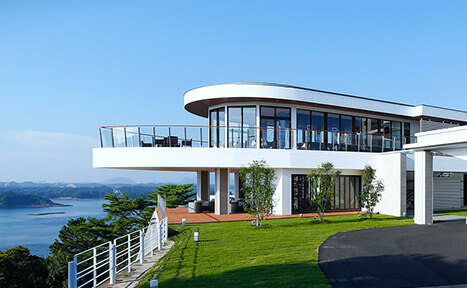 With the main building designed to resemble a luxurious cruise liner floating in the sky, and with its spacious outdoor baths, Tenku no Fune offers wonderful views of the Matsushima Archipelago. 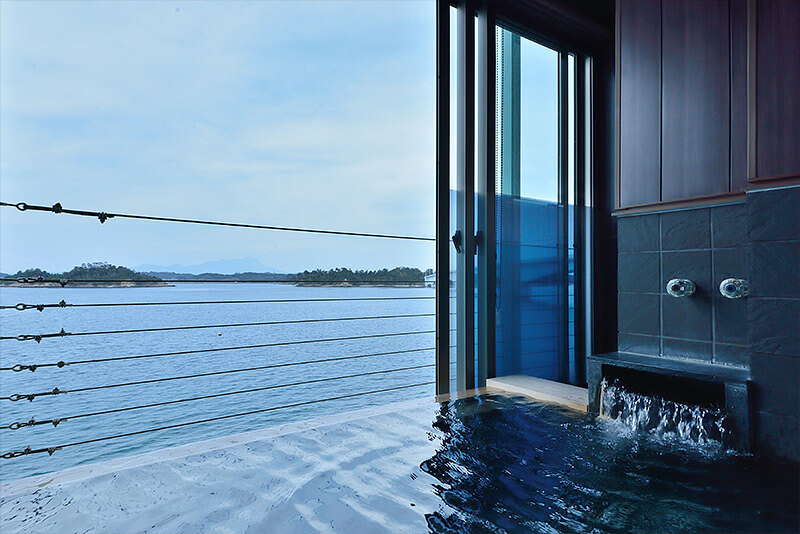 A pool is located on the shared wood deck with a spectacular seaside panorama, for a resort experience that will leave you feeling revitalized.